This image of the United states flag is in the Public Domain and can be used freely. If you use it on a webpage, a link to http://ourworldflags.com/United states would be very much appreciated. Flag of United States of Colombia.svgEnglish: Civil flag of the United States of Colombia, 1863-1886.Español: Bandera civil de los Estados Unidos de Colombia, 1863-1886. 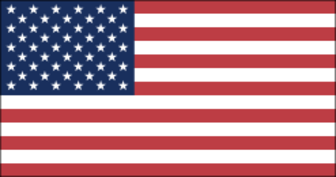 National Flag of United States: EPS vector format in both official proportions and a standard sized 3:5 ratio version. $4.95 - United States - Macintosh - Download (.